At Columbia Industries, our handler systems combine pipe elevators with a hydraulically inclined ramp, and a chain drive skate mechanism designed to raise or lower a pipe into position. 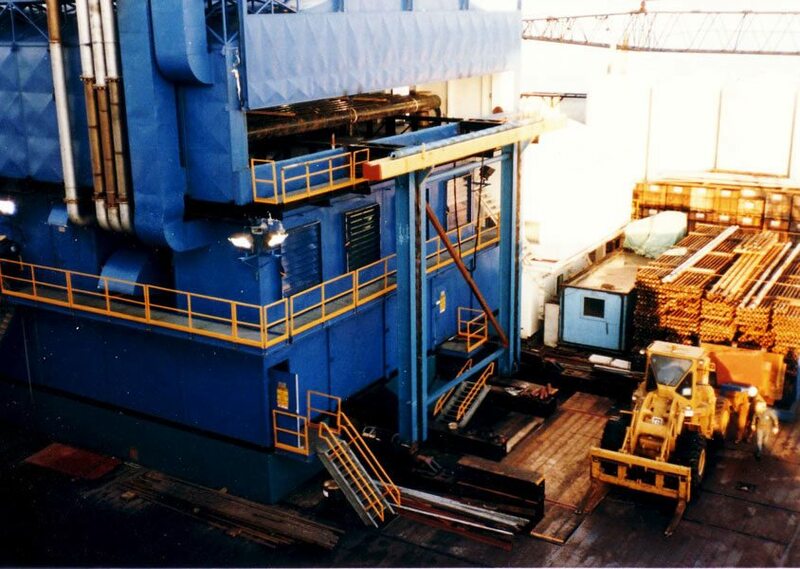 Columbia manufactures a variety of pipe handling equipment, providing a reliable and effective way of moving drill pipe and other equipment on and off the rig or drilling floor. Columbia's mobile catwalks (pipe handlers) get the pipe to the drill floor safely and efficiently. With adjustable-height catwalks a variety of rigs can be accomodated from 15 foot to 35 foot floor heights. Stable and oil field stout, our catwalks have a 10,000 lb capacity and can handle range 1, 2, and 3 tubulars, drill collars and casings up to 22 inches. 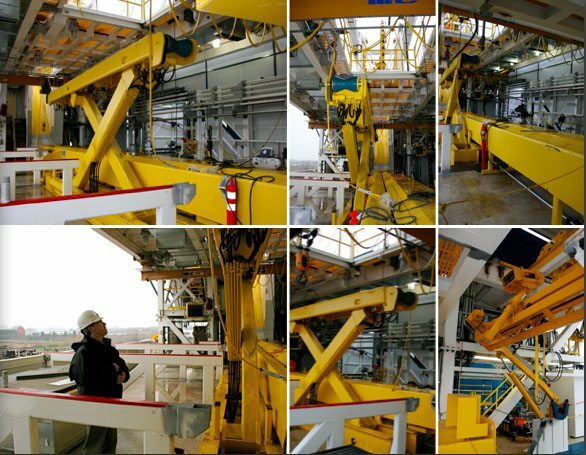 With integrated wheel systems the catwalk can raise to pass over above ground well heads, and optional walking systems make keeping up with a rig move easy. Columbia pipe handlers also have integrated beaverslides and v-doors to easily get tools and equipment to and from the drill floor. With innovation being key to who we are, Columbia has developed wireless controls to allow the operator to run the catwalk from the rig floor or on the ground. This makes it possible for rig hands to be where they are needed while maintaining a safe distance from dangerous activities. The most recent addition to our family of pipe handlers, the Columbia 4-Arm Pipe Handler features an innovative adjustable design that allows it to reach drill floor heights ranging from 16’ to 35’. The field operator can change the operating height, making this pipe handler our most flexible design to date. The ability to change operating heights also allows a single Columbia 4-Arm Pipe Handler to service multiple rigs without requiring factory modifications. Designed to operate with tubulars up to 48' in length and weighing up to 10,000 lbs. Integrated set of safety mechanisms incorporated into the design. Adjustable to reach rig floors 16'-35' in height. Columbia Industries offers the capability to design and manufacture a variety of pipe handling equipment for rigs of nearly any size. Our rich history of working on North Slope drilling projects has provided us the opportunity to design custom pipe handling solutions for even the toughest jobs. Due to the extraordinary difference in the design, size, and layout of drilling rigs, Columbia has pioneered a number of innovative designs that always satisfy the customer's chief needs and requirements. Columbia Pipe Elevators provide a safe and simple method of loading drill pipe and other downhole equipment into and out of the drilling rig. Columbia offers several pipe elevator designs, each with its own unique set of features, specifications, and abilities. This is yet another time-tested method of pipe transport that has proven to be incredibly reliable. Whatever your operating and design criteria, Columbia can design and fabricate a system that will meet your needs.